NASA has swapped out one of its crew members on the first piloted flight of a new commercial spacecraft. Mike Fincke has replaced Eric Boe as a member of the maiden crew for Boeing's CST-100 Starliner capsule, targeted for launch to the International Space Station later this year. "Boe is unable to fly due to medical reasons," NASA said in a statement released on Tuesday (Jan. 22). The space agency provided no further details. Assigned by NASA to Boeing's Starliner Crew Flight Test (CFT) in August 2018, Boe will now take on Fincke's prior role as the assistant to the chief for commercial crew in the astronaut office at NASA's Johnson Space Center in Houston. A NASA astronaut since 2000, Boe previously flew as pilot on two space shuttle missions, including the final flight of Discovery in 2011. Fincke joins the Starliner CFT crew having already logged more than a year in space on three flights to the International Space Station. A NASA astronaut since 1996, he served on the station's Expedition 9 and Expedition 18 crews in 2004 and 2009, respectively, and then flew as a mission specialist on the final flight of the space shuttle Endeavour in 2011. Once the record holder for the most time in space by an American (he has since been surpassed by three astronauts, including the current record holder, Peggy Whitson, at 665 days), Fincke now stands to become only the third U.S. astronaut in history to launch on three different type of spacecraft (Russia's Soyuz, NASA's shuttle and Boeing's Starliner), following Walter "Wally" Schirra (NASA's Mercury, Gemini and Apollo capsules) and John Young (NASA's Gemini, Apollo and shuttle orbiter). Fincke, in his position since 2013 supporting NASA's commercial crew program, has worked with Boeing and his now new Starliner crewmates on the development and testing of the spacecraft. 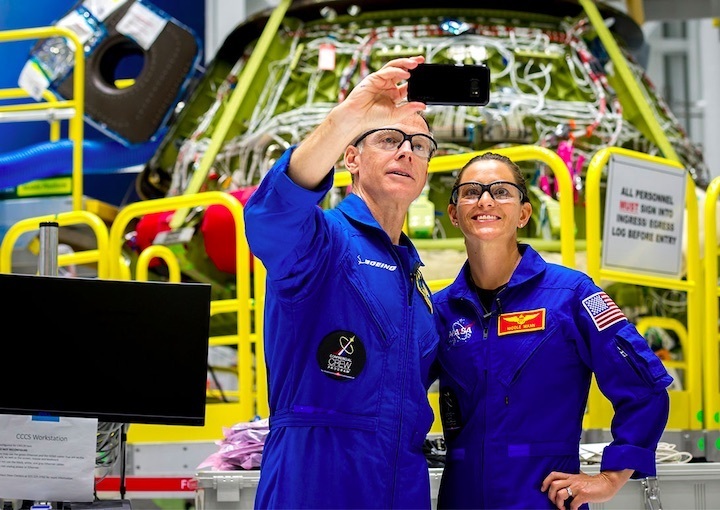 According to NASA, Fincke will immediately begin training alongside Boeing's Chris Ferguson and NASA's Nicole Mann, who were both assigned to the CFT mission in August 2018. "We should see a key when we look at these spacecraft," Fincke said in 2014 when NASA chose Boeing's and SpaceX's commercial crew vehicles to deliver astronauts to and from the space station. "A key to the doorway of space that will be opened by more and more people. It's going to let us have more people working on the station, conducting more scientific research than we've been able to do so far." The CFT mission will mark the first time that Boeing's CST-100 Starliner will be launched into space with humans on board. An uncrewed flight, currently targeted for late March, will test the spacecraft's systems prior to Fincke, Ferguson and Mann taking flight. The Starliner is designed to fly atop United Launch Alliance's Atlas V rocket from Launch Complex 41 at the Cape Canaveral Air Force Station in Florida. 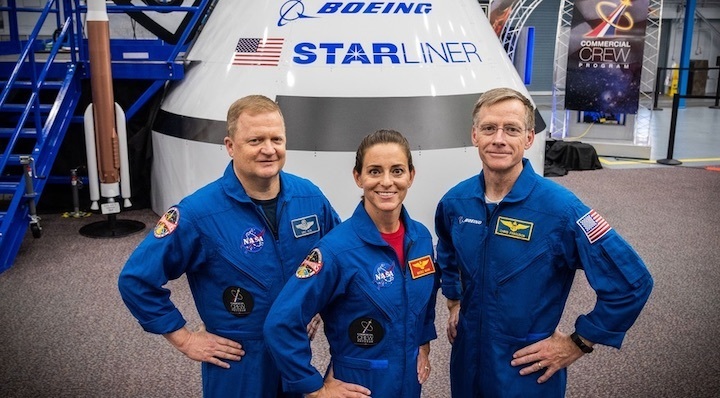 The U.S. astronauts assigned to the Starliner's first operational mission, Sunita Williams and Josh Cassada, as well as the NASA crew members selected for SpaceX's first Crew Dragon missions, Bob Behnken, Doug Hurley, Mike Hopkins and Victor Glover, remain unchanged. The operational missions will also include international crew members, including Soichi Noguchi of the Japan Aerospace Exploration Agency (JAXA), who is assigned to fly on SpaceX's Dragon capsule. 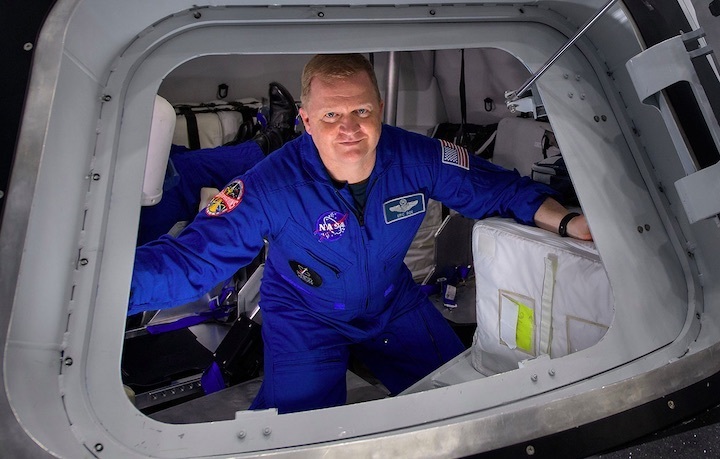 WASHINGTON — NASA announced Jan. 22 that it is replacing an astronaut who was scheduled to fly on a commercial crew test flight later this year because of a medical issue. 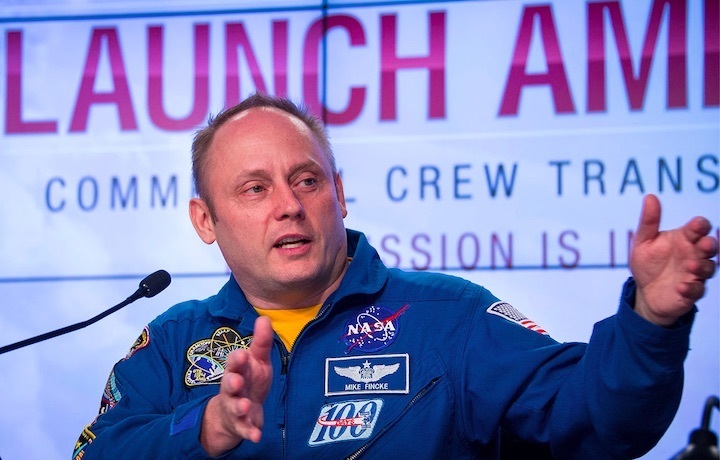 The agency said that Eric Boe has been taken off the crew of the Boeing CST-100 Starliner crewed test flight, and will be replaced by veteran NASA astronaut Mike Fincke. Boe will take over Fincke’s previous position as assistant to the chief of the astronaut office for commercial crew. In its statement, NASA said only that Boe would no longer be able to fly on the Starliner test flight “due to medical reasons.” The other two people assigned to the flight, NASA astronaut Nicole Mann and former NASA astronaut Chris Ferguson, now a test pilot for Boeing, will remain on the flight. Boe, 54, joined the NASA astronaut corps in 2000 and flew on two shuttle flights, STS-126 in 2008 and STS-133 in 2011. The latter flight was the last mission of the shuttle Discovery before its retirement, as the shuttle program wound down. Fincke, 51, joined the NASA astronaut corps in 1996. He flew on two long-duration missions to the International Space Station on Soyuz spacecraft in 2004 and 2008–2009, as well as the final flight of the shuttle Endeavour, STS-134, in 2011. Fincke spent 381 days in space on those three missions, including more than 48 hours of EVA time on nine spacewalks. NASA announced the original crew assignments for the CST-100 Starliner test flight and for a separate SpaceX Crew Dragon test flight in August. The agency also announced at the time crews for the first operational missions for those vehicles. The uncrewed test flight of SpaceX’s Crew Dragon spacecraft is now scheduled for February, NASA announced Jan. 10. That launch, previously scheduled for Jan. 17, was delayed to provide additional time “to complete hardware testing and joint reviews,” the agency said then. The Falcon 9 that will launch the spacecraft arrived at the Launch Complex 39A Jan. 22 for a static fire test expected as soon as Jan. 23. The crewed test flight will follow no earlier than June.